GRIID would like to announce that we are offering two more classes that begin in April. Confronting White Privilege is the first class, which is one that we offered last fall. This class is designed to investigate institutional racism in the US and how it is being manifested today. 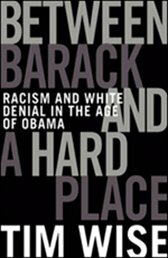 We will be using a book by Tim Wise entitled, Between Barack and a Hard Place: Racism and White Denial in the Age of Obama. Included in this 6-week class will be a look at the racial dynamics that exist in the Greater Grand Rapids area and what is or isn’t being done to promote racial justice. The Confronting White Privilege class will meet on Mondays from 7 – 9pm, beginning April 11. The second class that GRIID is offering is a completely new class entitled US Policy in the Middle East and Revolutionary Movements. This class is designed to investigate US policy in the Middle East since WWII and the current revolutionary movements in countries like Egypt, Tunisia and Libya. The class will be using Mark Zepezauer’s book Boomerang! : : How Our Covert Wars Have Created Enemies Across the Middle East and Brought Terror to America to explore these historical dynamics and numerous online resources to investigate the current uprisings. This second class will meet on Wednesdays from 7- 9pm, beginning April 13. Both classes will meet at the Steepletown Neighborhood Center, located at 671 Davis NW in Grand Rapids. Both classes cost $20, which does not include the cost of the book. If you would like to sign up for either class or receive additional information contact Jeff Smith at jsmith@griid.org or Mike Saunders at outobol@gmail.com. There are also downloadable flyers online at https://griid.org/griid-classes/. You should have a class on class warfare and focus on what happened here in GR, still waiting on your thoughts you know. Wow, so now you are telling us what classes to offer……should I also seek your council on what else I should do with my life? Think you’ll offer the Confronting White Privilege again after the spring series? hi, i live in Detroit, i took your class at 18. I’m 27. i want to do the project really bad. i know what it feels like to be denied. I will make my own and sent you what i have experienced. Its all about power, money, class, family, also education.